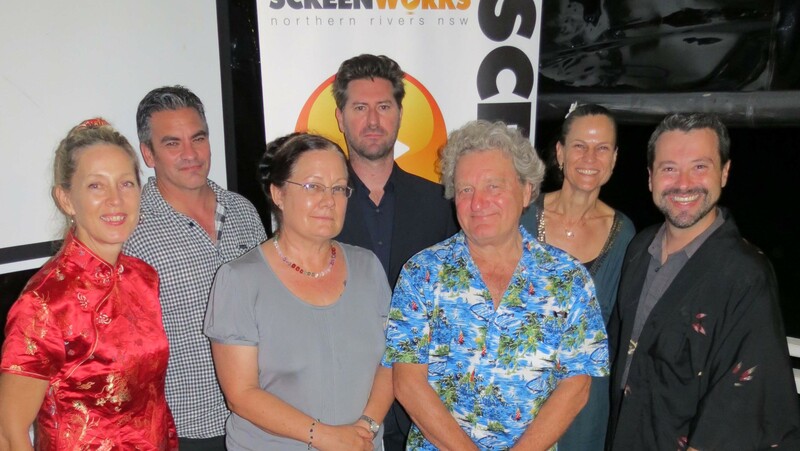 There was an atmosphere of excitement at Screenworks’ end-of-year event in Bangalow on Wednesday night, as three talented writers from the Northern Rivers region were announced as the winners of an opportunity to escalate their screen writing careers. The announcement followed a two-step assessment process conducted by a panel of local professional writers. Each of the winners will receive an all expenses paid trip to Sydney to join with writers from some of Australia’s leading production companies as they work and develop story into a television script. Jonathan Gilbert will sit in with the writers plotting a new TV series at Matchbox Pictures (Old School, Nowhere Boys, The Slap). Brett Stephens will join with Playmaker Media (The Code, House Husbands, Love Child) plotting the next series for one of their popular TV series. Triny Roe will go with Channel 7’s Home and Away writing team where they will be plotting and editing an upcoming episode. “This is a pilot program for Screenworks and is being generously supported by Screen NSW” continued Mr Crouch, “depending on the outcomes of the project this year, we hope that we may be able to continue the program and offer similar opportunities in the future”.